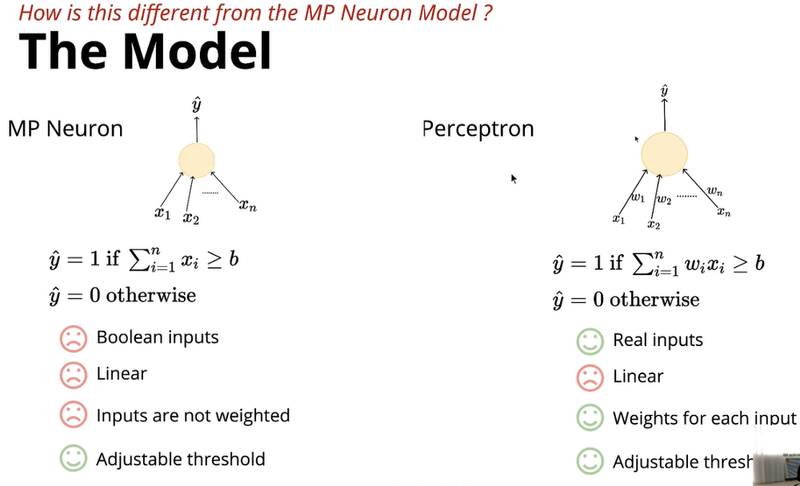 In what scenario perceptron model is ahead from mp neuron model? 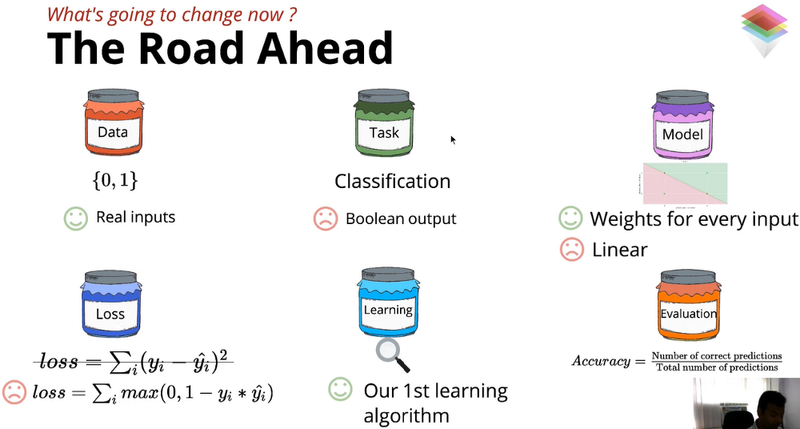 Task: mp model will give boolean outputs, but the perceptron model will give as classification form. loss function: not much difference loss. 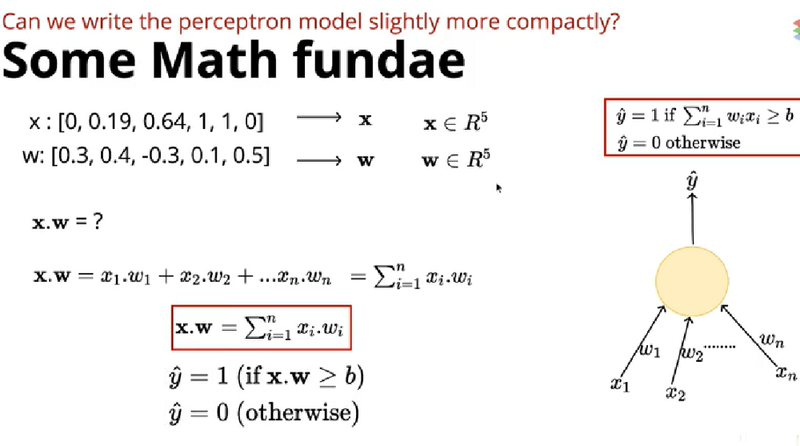 perceptron model will take real inputs, but it follows the standardization. What, weights allow us to do? 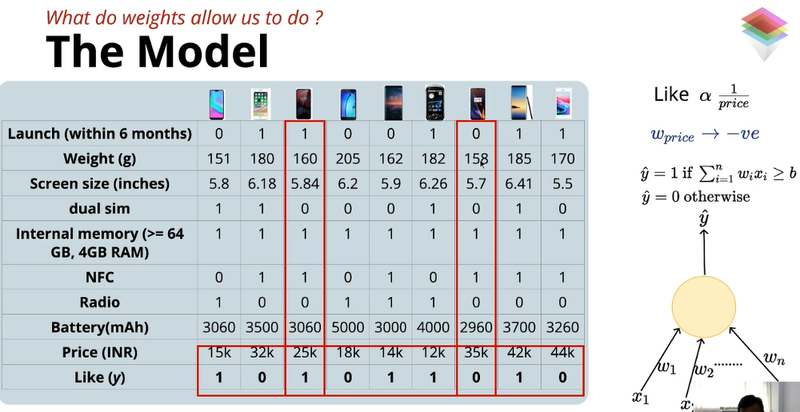 based on is weight(w) is positive or negative and on value, we can control output(is the phone is liked?) 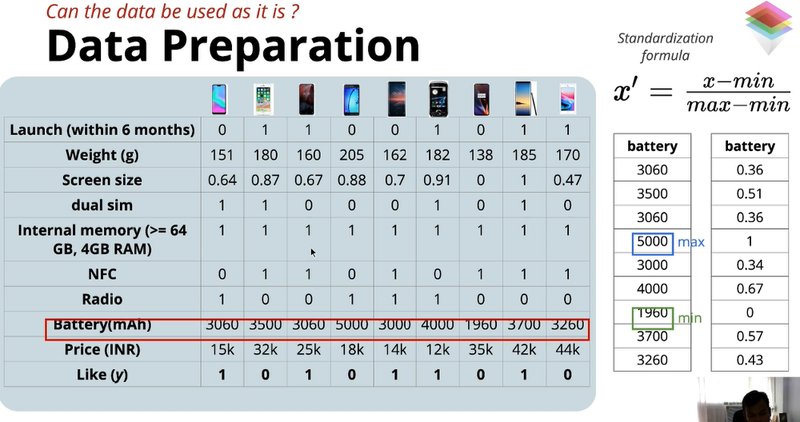 for those specifications (x). Previous Post:I can’t find where the source of the variable real_stock_price came from.